High-performance materials made of rubber and plastic, intelligent materials, useful service apps: at the Hannover Messe 2014, (April 7 - 11) ContiTech will present its future-oriented technological know-how for industrial applications based on material and procedural expertise stretching back over decades. Highlights on display at the 500 square meter booth (F18 in hall 6) include intelligent functional materials and polyurethane timing belt with carbon tensile member capable of withstanding the highest forces. As a global technology company, ContiTech an integral part of DAX-listed Continental, will be showcasing a whole raft of services that go well beyond its broad range of components. 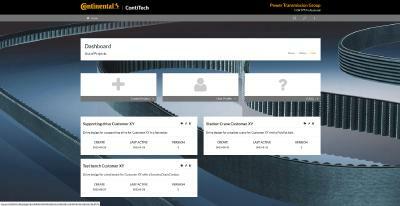 ContiTech develops solutions that help save time, maintenance work, and cost. In describing the strategic direction of ContiTech AG, its CEO Heinz-Gerhard Wente notes: "We do not want to be the biggest; we want to be the best. We are heavily engaged in meeting technological, business, and social challenges. In developing the products of the future, we therefore take the next logical step and identify and realize trends at an early stage. In this way we help our customers to success and bolster our profitable growth worldwide." 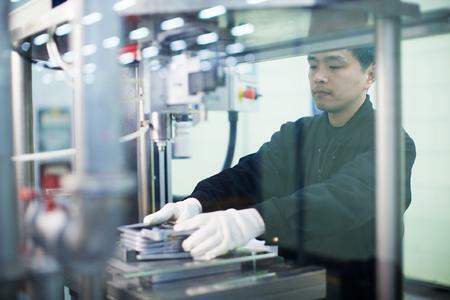 With a strong focus on materials expertise, especially in different rubber compounds, ContiTech is showcasing prototypes from its innovative processes as well as systems that are now ready for series production. A specialist in high-quality upholstery and soft trim, the ContiTech Benecke-Kaliko business unit is currently developing a seat cover material, which can be heated directly. At the booth, visitors can try out a prototype vehicle seat and experience this "warming" innovation for themselves. This new type of heating has numerous benefits over existing methods. Thanks to the Benecke-Kaliko innovation, the seat heats up more quickly than with conventional heating systems yet consumes a small fraction of the power that they do. This heatable seat cover material is therefore the ideal solution for heating electric cars, whose motors do not produce heat and which must make careful use of their power capacity. 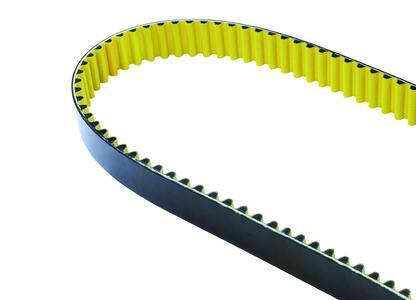 At almost 5 meters long and 22 centimeters wide, the dimensions of the polyurethane timing belt with carbon tensile member, manufactured by the ContiTech Power Transmission Group, make it unique on the market. This heavy-duty timing belt is designed for unusually high loads in major industrial machines and is already in successful use. The carbon tensile member enables the transfer of extreme tensile forces and guarantees durability with maximum performance. To underline its strong customer focus, ContiTech will also display a number of service products with which it provides round-the-clock support for its customers. An app, for example, allows users to use their smartphone to check whether the initial tension of industrial belts is correct. The MiningCalculator computer program from Mining Technology Consulting in Clausthal-Zellerfeld, Germany, enables mining companies to calculate and compare future load and transport combinations for specific mining projects. They can then identify the best combination of truck or conveyor belt haulage from both an economic and environmental standpoint. Under the banner 'Global Challenges, Smart Solutions', the Netherlands, partner country at the Hannover Messe 2014, is presenting trend-setting solutions to the industrial challenges of the future. The Netherlands is an important economic partner for ContiTech. 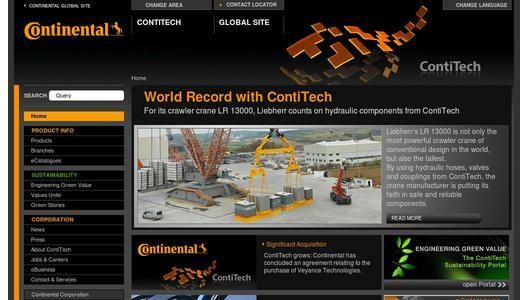 Since 1946, ContiTech has been associated with the independent importer Continental Banden Groep B.V. via its parent company Continental. This partnership has enabled it to supply both OEM and aftermarket customers for many decades. The involvement in anti-vibration specialist Phoenix Vibration Controls B.V. in Stellendam gives customers active support in development and series production. The subsidiary ContiTech Belgium BVBA based in Berchem, Belgium, services sales partners in the Netherlands. 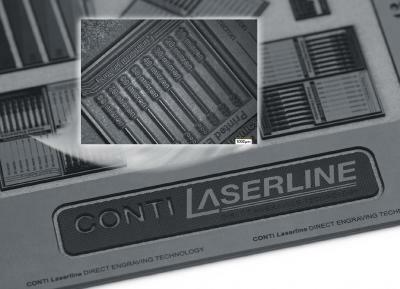 With provisional sales of around €33.3 billion in 2013, Continental is among the leading automotive suppliers worldwide. As a supplier of brake systems, systems and components for powertrains and chassis, instrumentation, infotainment solutions, vehicle electronics, tires and technical elastomers, Continental contributes to enhanced driving safety and global climate protection. Continental is also an expert partner in networked automobile communication. Continental currently has more than 177,000 employees in 46 countries. The ContiTech division numbers among the world's leading suppliers of technical elastomer products and is a specialist for plastics technology. 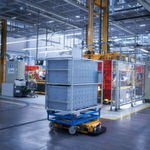 The division develops and produces functional parts, components, and systems for the automotive industry and other important industries. ContiTech currently has a workforce of approximately 29,500 employees. In 2012, it achieved sales of about €3.7 billion.